But running is a whole lot more fun when you don’t have to go it alone. 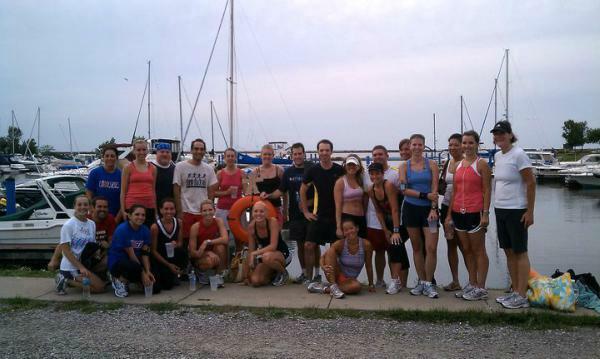 Thankfully, Cleveland has plenty of run groups that specialize in breaking a sweat and socializing at the same time. For these folks, working out and hanging out is practically the same thing. So what are you waiting for? 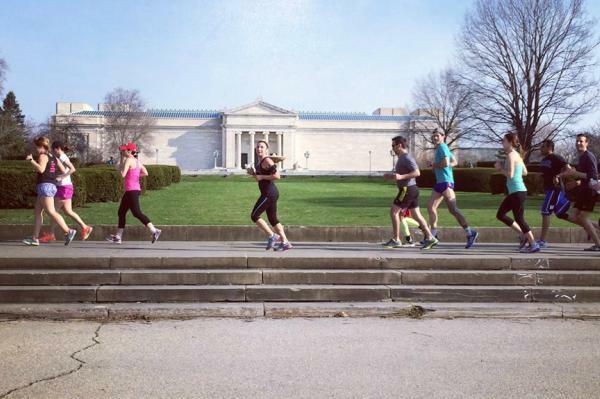 Hit the trail, or pound the pavement, with these Cleveland-area run groups. Say hello to every runner’s group. That’s how Medina County Road Runners prefers you think of them. A kind of everybody’s welcome crew, with zero intimidation in sight, that’s been running strong since 2007. 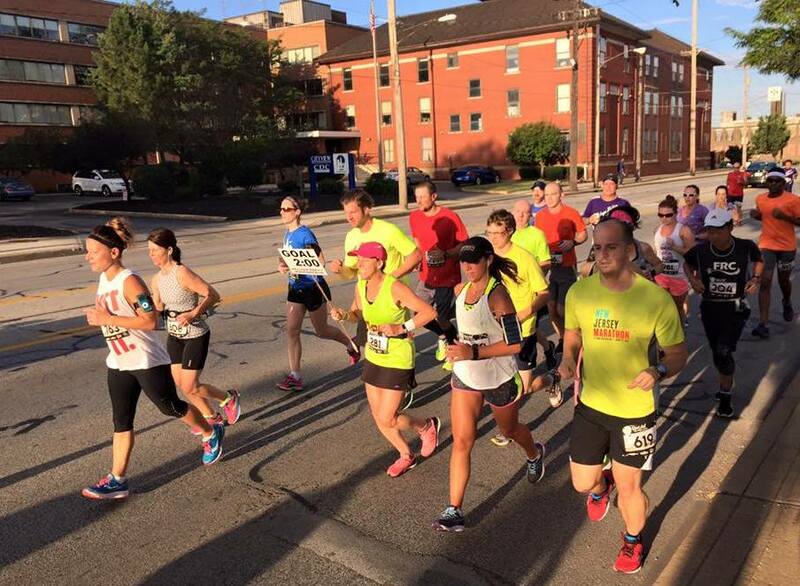 Newbie runners and pros alike cover the beautiful landscape of Medina, and beyond. A small yearly fee of $21 entitles you to a monthly newsletter complete with exclusive club activities, races, and sweet discounts to Vertical Runner and other area shops. They’ll help you kick it up to another level, no matter where you’re starting from. Way back when, in 1982, a small group of runners met with one mission in mind, to create a top-notch running club. Well 33 years later, there’s no denying that the Northeast Running Club has succeeded in doing exactly that. They’ve grown from a mere 25 members to over 500 strong. And that group includes elite runners, recreational walkers, and everyone in between. 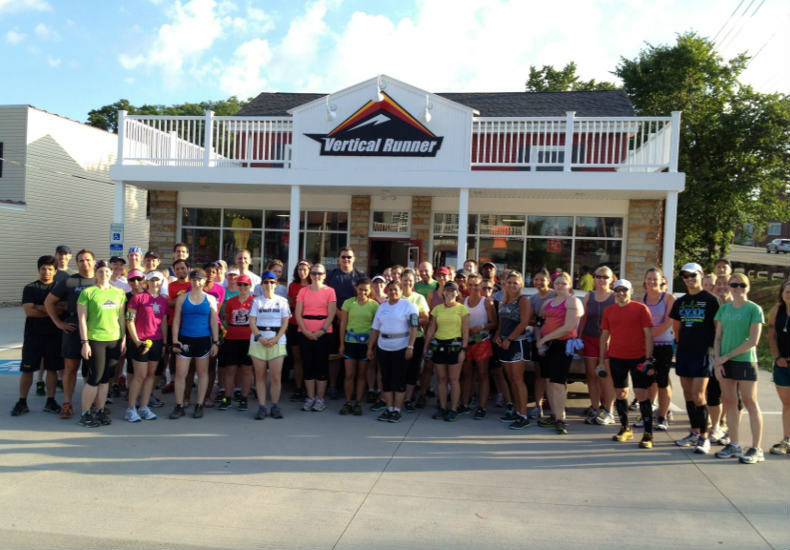 The club offers multiple group runs throughout the week, depending on the time of year, as well as members only races, workouts, and social events. Everybody knows that running is good exercise. But you might not realize that it’s a great way to network too. And a whole lot healthier than happy hour and appetizers. That’s why Cleveland Run Club set out to unite the region’s young professionals for a run. With a fresh take on health, fitness, and fun, this group is exploring the city on foot. They’ll lead you on runs through Tremont, Downtown, Kamm’s Corner, and Lakewood while mixing things up to keep the routes and locations fresh. This group has been logging miles all across Cleveland for 40 years! Which means that, whether you’re on mile one or one million, they’ll help you navigate the run routes, races, and wide-range of running themed events in the area. They love being healthy and building a vibrant community. If you like the sound of that, be sure to join one of the many weekly group runs. 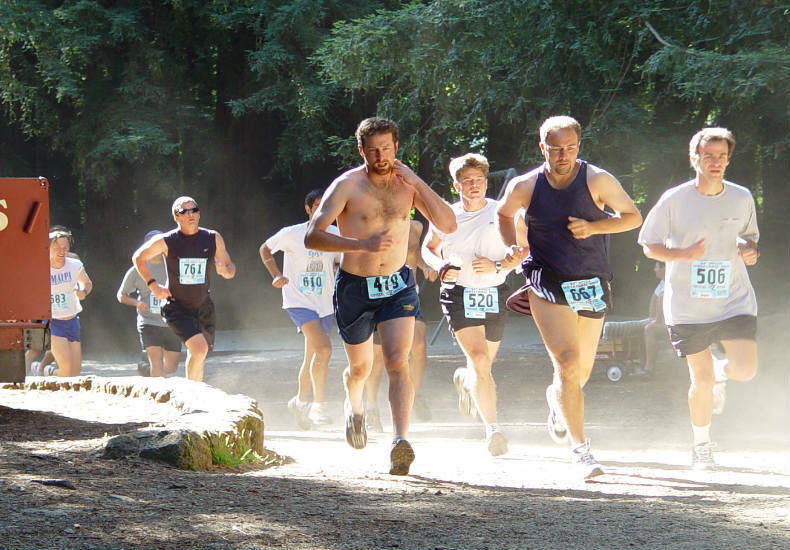 Then, when you’re ready, put your training to the test at one of the races sponsored by the West Runners, like the Fall Classic and July 4th Bay Days. When you hear the name Fleet Feet, you probably think of the brick and mortar stores. But this spot is more than simply a store for runners. They’ll get you fitted for the right shoe. Hook you up with all the gear you could ever need. And direct you to the best run routes in town. Even with all that awesomeness, we’re only beginning to scratch the surface of this store. 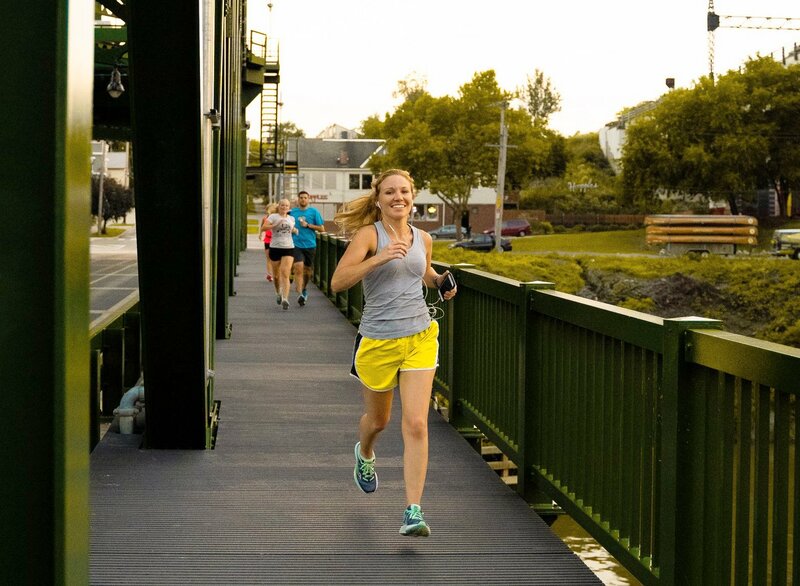 The run-tastic festivities include groups runs, races, and social events, including three free runs each week, specialty events like monthly Pub Runs, and the Brooks Donut Mile. If you like yoga and running, you’re going to love everything about this group. Because, instead of separating their passions into two separate workouts, RunCLEyoga offers the best of both worlds rolled into one. Start your Sunday morning in the best possible way, with a run through Cleveland. After 45 minutes or so, most runners call it quits. Not this group. They’re just getting warmed up. Next comes a 75-minute yoga session over at Cleveland Yoga’s Uptown studio. Take notice, this isn’t your run of the mill yoga class either. It’s a run-themed session designed to strengthen and stretch runners in all the right places. For runners looking to get race ready, NEO Fit is the right fit. 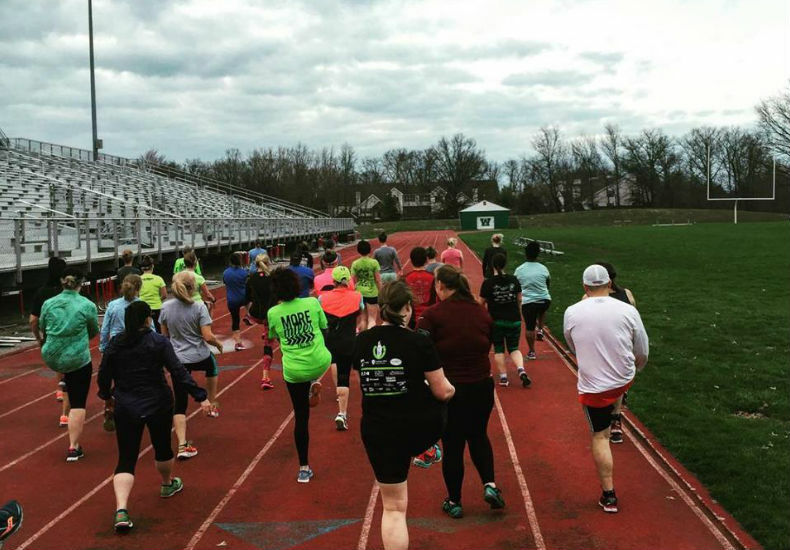 By combining a progressive training plan with individualized coaching, group runs, and social events, NEO Fit will help you start running or kick it into high gear. With a focus on half and full marathons, the friendly environment and knowledgeable coaches will show you how easy going long can be. Somehow, they’re able to make 24 weeks of training and 20+ mile runs fly by. It’s easier with friends, and a new level of fitness, on your side. 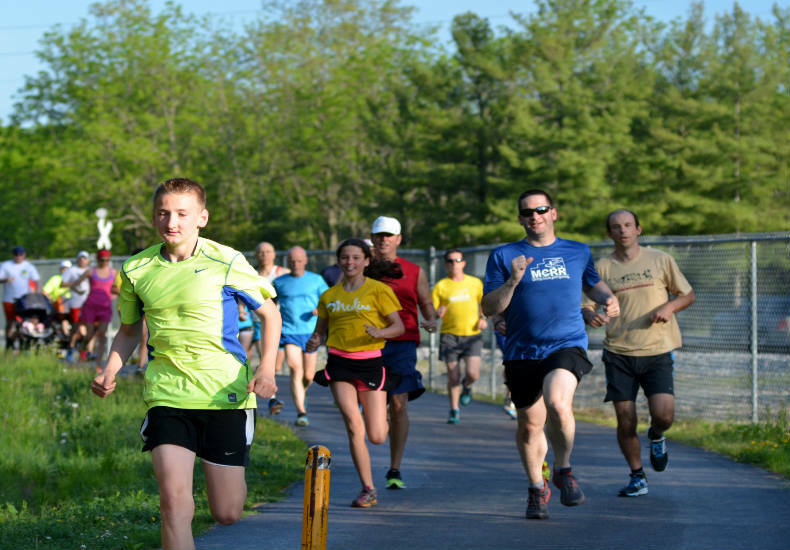 Explore the outdoors while getting your run on with the Crooked River Trail Runners. They’re on a mission to promote friendship, fitness, and a love of nature. And they’re succeeding in doing exactly that. How else could you explain the fact that they attract 50-70 runners to their year-round run group? 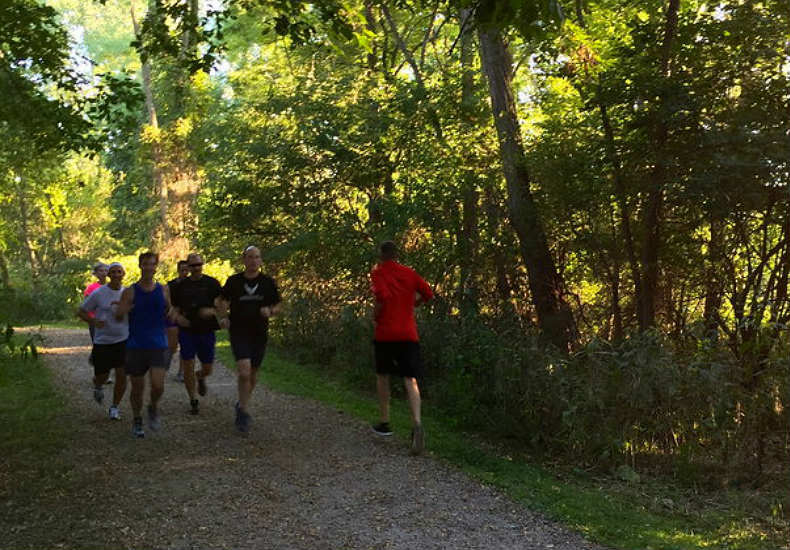 That’s right, they run every Thursday at 6:30pm along various trails in Cuyahoga Valley National Park. So skip the same old run routes and sidewalk strolls. Get outside and take the unbeaten path with one of Trail Runner Magazines top running clubs in the country! Yep, right outside of Cleveland. Sometimes it feels like fitness is out of reach. That, to get a good workout, you have to have fancy gadgets, a special diet, and an expensive gym membership. Well, this local running groups is disproving that entirely. 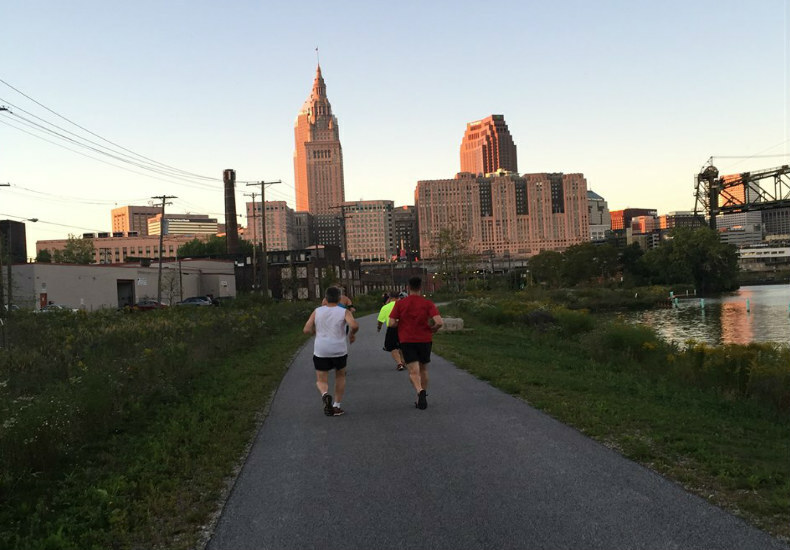 Run Wild CLE is a grassroots project that brings people together to sweat in public spaces. 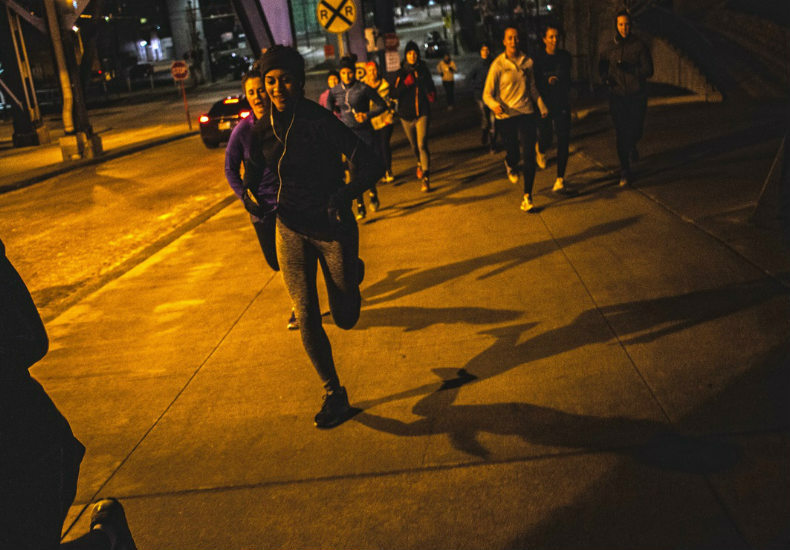 Condition your body and be part of a passionate community while running the streets, hills, and stairs around Cleveland. All you have to do is check their website for the next meetup, then show up ready to run. The 2nd Sole Rocky River crew is proud to present the Sole Train Runners. This group is free and open to the public. So you know what that means right? You can join them for any run or workout, anytime. From tempo work and long runs to yoga and core training, the Sole Runners have you covered. 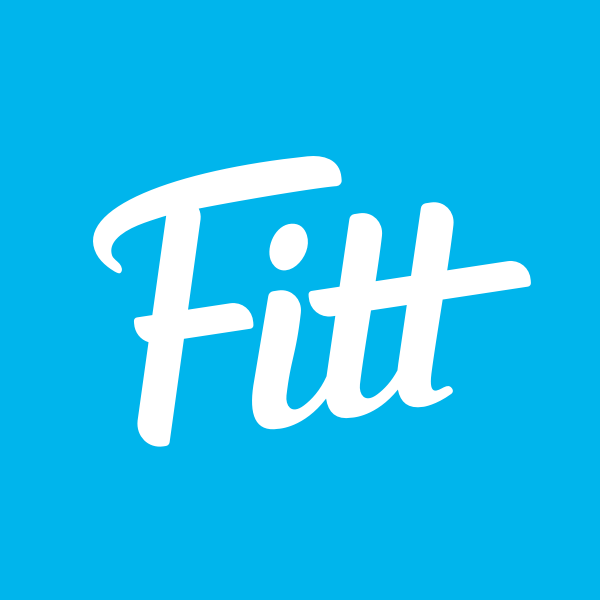 Heck, this group goes above and beyond, hosting cookouts and social events to build community while you get fit. With more than 1,000 members in the Cleveland-area, there’s no denying the fact that this group really does run CLE. Made up of local moms (go figure!) and run-loving women, MRTT members run, volunteer, and empower one another to have fun and get fit. 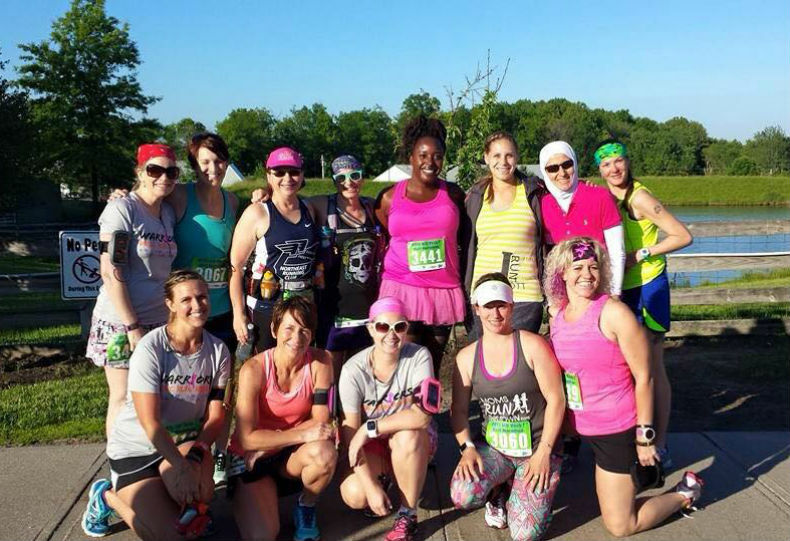 In that way, it’s more than a run club, Moms Run This Town is a supportive community helping members live an active lifestyle. Follow along or get in on the action in Cleveland, Akron, or Lake County.